Accidentally send scoops to our inbox too, please. J. Kelly Nestruck, the Globe’s chief theatre critic, is a well-respected journalist. The Torontoist alumnus has provided thoughtful criticism for over a decade, and occasionally writes an eight-part feature searching for the magic of theatre in a high school classroom. Just when you expect Nestruck is solely devoted to the theatre beat, he goes for the twist, and gets the scoop on international sports news. Martin Taupau is a 25-year-old rugby player from New Zealand, and it is safe to say he has never heard of Kelly Nestruck. So it was likely a surprise when Nestruck tweeted the impending news that Taupau, who plays prop and lock (or so we’re told), would sign a four-year deal with the Manly–Warringah Sea Eagles, which is apparently a real team. It is unclear whether Nestruck knows anything about rugby; he declined to comment when contacted by Torontoist. Anyone cover the New Zealand rugby league and want the contract of a player called Martin Taupau that was just emailed to me by accident? 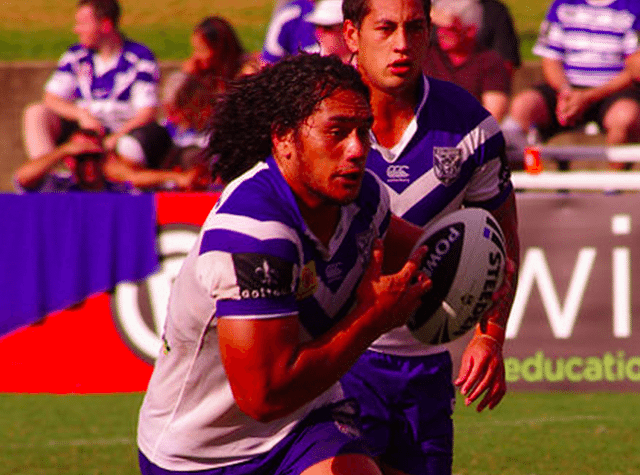 Breaking: Martin Taupau signs three-year deal with Manly–Warringah Sea Eagles, 2016-2019. So how does a respected theatre critic get the scoop on the latest rugby free agent news? Well, it helps if the news is accidentally delivered to your inbox because your email address is similar the team’s CEO. If anyone would like to share scoops about the Australian billionaire David Hains (no relation), they may do so whenever they like. While Nestruck’s scoop caught the attention of Sports Twitter in Australia and New Zealand, his true passion remains theatre. Hey there Antipodean rugby enthusiasts… Thanks for all the interest, but I'm done playing at Kiwileaks now – and am off to review a play. This isn’t Nestruck’s first accidental brush with the world of sports. As pointed out by 12:36, in July 2003, Nestruck left his cellphone in a cab, where Hall of Fame pitcher Pedro Martinez found it, and then returned it.